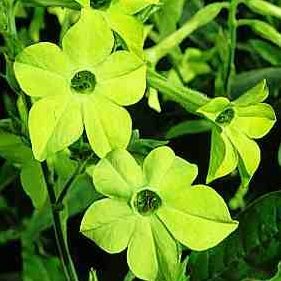 Nicotiana ‘Lime Green’ has got to be one of the best ever flowering tobacco plants. Not only does it give a fantastic garden display but it is also very sought after in the the floral industry. The wonderful lime green flowers come in masses AND they are delightfully fragrant and don’t give a monkey’s if the weather gets wet….which I have found recently to be very useful. I start mine off by sowing the seeds on the SURFACE of good seed compost (the seeds need light to germinate) and keeping them damp with a spray bottle. I sow in modular pots and cover with a piece of newspaper to keep the moisture in…it’s easy…you’ll have more seedlings then you can handle. Don’t put them out until after the frosts. Sow: March, April and May.